Vauxhall Combo MK III Box / Estate 2.0 CDTI 2011 - 2017. Vauxhall Combo MK III Box / Estate 1.6 CDTI 2011 - 2017. We have gearbox experts standing by ready to help with any enquiries you may have with manual or automatic gearboxes. 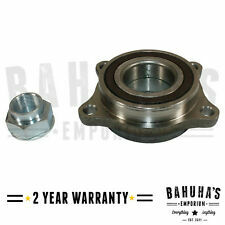 REAR WHEEL HUB BEARING (JE10413) - QTY:1. Any claims after 24 hours will be dismissed for a claim. Product Warranty. WARRANTY 12 MONTHS. Failure to do so will delay your order. Part number: 55205025. XC90 Rear Diff KitBUY IT NOW. ORDER BY 11:45AM AND. Order number: 3042501. PA0 & PK0 ActuatorBUY IT NOW. Freelander F23 SealBUY IT NOW. 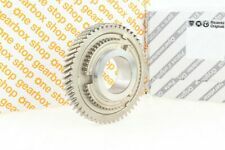 T4 5th Gear UpgradeBUY IT NOW. Mini MA Bearing KitBUY IT NOW. Lancia Lybra 839AX Saloon 1.6 16V 1999-2005, 1.8 16V 1999-2005. Fiat Brava 182_ Hatchback 1.8 GT 16V 1995-2001, 1.9 JTD 2001-2002, 1.2 16V 1998-2002. Fiat Doblo 119 MPV 2002-2016, 1.9 D 2001-2010, 1.9 D Multijet 2005-2010, 1.3 JTD 16V 2004-2005, 1.2 2001-2010, 1.9 JTD 2001-2010, 1.3 D Multijet 2005-2010, 1.6 Natural Power 2002-2010, 1.4 2005-2010, 1.6 16V 2001-2010. Palier central pour arbre de transmission. Caractéristiques du palier de transmission Support complet pour arbre de transmission. Pièces de qualité. 2006 ONWARDS - ALL MODELS. Part Number: 60652014. Bearing Kit. Alfa 90 / Alfetta GT GTV / Giulietta ab Bj 11/1976 - 4 Zylinder. Alfa 75 4 Zylinder und 2,5 V6. HARDYSCHEIBE MITTE NEU. Original-Teile-Nr. : 60521649. Part Number: 71745047. Manufacturer: Fiat. Bearing Kit. 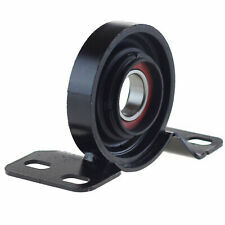 Crankshaft Pulley. Anti Roll Bar link. 1.9 JTDM (937. AXD1A, 937. AXV1A, 937. 1.9 JTDM 8V (937. AXU1A, 937. 1.6 16V T.SPARK (937. ). £ 169.60Buy It Now. 03.02 - 05.06. 2.4 JTD (932BXC). 839 A6.000. 10.00 - 05.06. 2.4 JTD (932B1B__). 937 A5.000. 03.05 - 05.06. HARDYSCHEIBE VORNE NEU. Alfetta, Alfetta GTV 2,0ab Bj. 01/1978, Alfa 90 (4 Zyl.). und Giulietta 116 ab Bj. Original-Teile-Nr. : 60521648. £ 169.60Buy It Now. 05.00 - 10.00. 1.9 JTD (932B2). 156 ESTATE (932). 03.02 - 05.06. 3.2 GTA (932BXB). 10.00 - 05.06. 2.5 V6 24V (932B11_). That is the price for ONE bearing ONLY! 1 YEAR MANUFACTURER WARRANTY. 159 ESTATE. Lower Ball. Central Door Locks. NEW WHEEL BEARING AND HUB. Crankshaft Pulley. 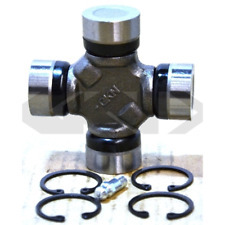 Anti Roll Bar link. Wheel Hubs and Bearings. Oil Sump Pan. £ 169.60Buy It Now. 192 A3.000. 01.03 - 08.08. STILO ESTATE (192). ENGINE SIZE. 263 A1.000. 2.0 D Multijet. 940 C1.000. GIULIETTA (940_). Crankshaft Pulley. 940 A8.000; 940 B6.000; 940 C4.000. 940 A2.000; 940 C2.000. 940 C5.000; 940 C1.000. 940 B1.000; 940 B8.000. 940 A5.000; 940 C3.000. 2.0 JTDM (940. ). Part Number: 60671437. Bearing Kit. Position on Vehicle: Rear Wheel ABS Hub Bearing. You can use us for headlights, rear lights, door mirrors, mirror glass and covers as well as a constantly developing range of performance lighting. 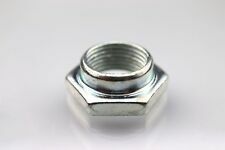 Note: I/D 35mm : Flange 116mm : Width 64mm. Item is NOS. The box is tatty from storage but the bearing looks fine. Made by Elite. Part No NHD1004 or AP Borg & Beck HD1004. 1.6, 1.6 GT, GTS 1975 to 1980 215mm clutch. 1.8, 1.8 GT 1973 to 1977 215mm clutch. 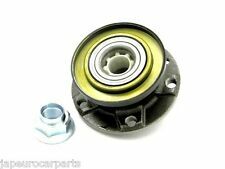 1 x FRONT WHEEL BEARING HUB KIT FITS Description Model Year kW HP cc Build ALFA ROMEO - 156 Sportwagon (932) - 1.9 JTD 16V Q4 07.04 - 05.06 110 150 - 150 1910 Estate ALFA ROMEO - 159 (939) - 1.8 TBi 05.09 - 11.11 147 - 147 200 - 200 1742 Saloon ALFA ROMEO - 159 (939) - 1.8 MPI 03.07 - 11.11 103 140 - 140 1796 Saloon ALFA ROMEO - 159 (939) - 1.9 JTS 09.05 - 11.11 118 160 - 160 1859 Saloon ALFA ROMEO - 159 (939) - 2.2 JTS 09.05 - 11.11 136 - 136 185 - 185 2198 Saloon ALFA ROMEO - 159 (939) - 3.2 JTS 02.08 - 11.11 191 - 191 260 - 260 3195 Saloon ALFA ROMEO - 159 (939) - 3.2 JTS Q4 12.05 - 11.11 . 1750 BERLICA, GT VELOCE SPIDER, VELOCE 1968-73. 2000 BERLINA, GT VELOCE, SPIDER, VELOCE 1973-on. GIULIA 1.3, SUPER, 1.6 1964-on. MONTREAL 1971-76. THIS IS FOR ONE FRONT WHEEL BEARING KIT TO FIT THE. That is the price for ONE bearing ONLY! That is the price for PAIR ONLY! FRONT & REAR. Flexible Gelenkscheibe/Hardyscheibe vorn. V14112017 | © alf-ricambi. Spider/Spider Veloce 59/66 kw Bj. 1955 - 1962. Spider 68 kw Bj. 1962 - 1965. Spider Veloce 82 kw Bj. Sprint Speciale/Zagato 74 kw Bj. Position on Vehicle: Rear Wheel ABS Hub Bearing. You can use us for headlights, rear lights, door mirrors, mirror glass and covers as well as a constantly developing range of performance lighting. 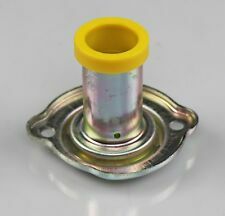 Note: I/D 30mm : Flange 117mm : Width 62mm. MITO (955_) 1.4 78cv. MITO (955_) 1.3 84cv. MITO (955_) 1.4 105cv. MITO (955_) 1.4 163cv. MITO (955_) 0.9 86cv. MITO (955_) 1.4 120cv. MITO (955_) 1.4 69cv. MITO (955_) 0.9 105cv. Type:Bearing Kit. A to Z Motor Spares (Wakefield). Body Type All Chassis. © A to Z Motor Spares (Wakefield) 2017. However delays are occasionally inevitable due to unforeseen circumstances. Warranty 1 Year. 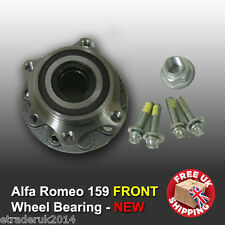 FRONT WHEEL BEARING KIT OE QUALITY Fits: ALFA ROMEO 147 1.6i - 1.9JTD - 2.0i ALL MODELS WILL NOT FIT 3.2 GTA. Position on Vehicle: Front Wheel Bearing Kit. Note: ABS Bearing. You can use us for headlights, rear lights, door mirrors, mirror glass and covers as well as a constantly developing range of performance lighting. Position on Vehicle: Rear Wheel ABS Hub Bearing Pair. You can use us for headlights, rear lights, door mirrors, mirror glass and covers as well as a constantly developing range of performance lighting. BRAND NEW TOP QUALITY BEARING. HARDYSCHEIBE HINTEN NEU. Alfetta, Alfa 90 (4 Zyl.). und Giulietta 116 ab Bj. Original-Teile-Nr. : 60521631. Model/Series: Mito. Position on Vehicle: Front Wheel Bearing Kit Pair. Note: ABS Bearing. You can use us for headlights, rear lights, door mirrors, mirror glass and covers as well as a constantly developing range of performance lighting. Alfetta 1.6 / 1.8 / 2.0 1972 ~ 1980. Giulietta 1.3/ 1.4/ 1.6/ 1.8/ 2.0 1979 ~1980. 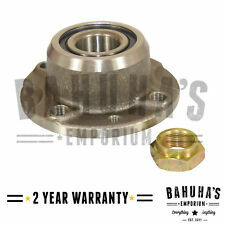 Wheel bearing kit. Front wheel.